Online Jihad Exposed: פרסום בבלוג "אנצאר-איראן": מהי תנועת אנצאר-איראן? 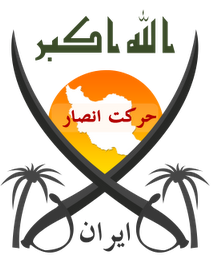 What Is Harakat Ansar Iran??? We are an emerging front for Jihad against the Shia, Rafidah government of Iran. 1. Protect the oppressed Sunni minorities of Iran against their Shia government. 2. Strike a blow against the Shia government of Iran in their own lands, thus damaging their economic, financial and military capabilities (esp. their ability to contribute to the Syrian genocide). 3. Bring back the rule of Shariah in those areas under our influence. 4. Eventually regain Iran for the Muslims, with the help of Allah.